Dark Blasphemer are a band from Argentina that has been featured before in this zine and plays a very raw and depressive form of black metal and this is a review of their self released compilation album "Singles 2013-2014". A very dark and raw black metal sound starts off the compilation along with some blast beats, heavy bass lines and high pitched depressive screams and the band also brings in a good mixture of slow, mid paced and fast parts and after awhile melodic guitar solos and leads are added into the music. You can hear a good amount of melody being displayed throughout most of the tracks which they mix in with their raw musical approach at times and the faster sections have a lot of early 90's black metal influences being added in while the lead guitars are more in a modern and melodic musical direction. 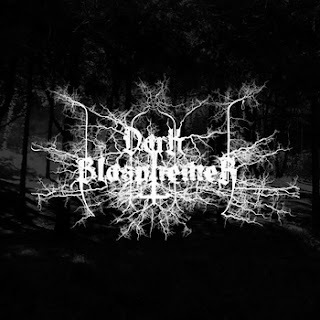 On these single tracks Dark Blasphemer continue their raw approach to depressive black metal that was presented on this recording as well as being a lot more guitar driven than most bands of this genre, the production has a very dark, raw and old school sound while the lyrics cover suicidal and depressive themes. In my opinion this is another great sounding recording from Dark Blasphemer and if you are a fan of raw, depressive black metal, you should check out this compilation> RECOMMENDED TRACKS INCLUDE "The Land Is Mine" and "Drowning In Depression". 8 out of 10.